Marina Niforos is a Board member and advisor on growth and innovation, with more than 20 years C-suite experience across the public, private and academic spheres. She currently serves two mandates as Non-Executive Director on the Boards of Séchè Environnement, a French publicly-listed company, and the Hellenic Corporation of Assets and Participations, the Greek public asset management fund of the Hellenic Republic, where she Chairs the Committee on Corporate Governance and Nominations. She is currently advising the International Finance Corporation on the impact of blockchain on emerging markets (see report here) and was nominated in March 2018 to the Blockchain Policy and Framework Conditions Working Group of the EU Blockchain Observatory Forum. Marina is also Visiting Faculty on Leadership for Executive Education programs at the HEC business school. In March 2012, she was appointed Commissioner to the United States National Commission for UNESCO by the U.S. Secretary of State. 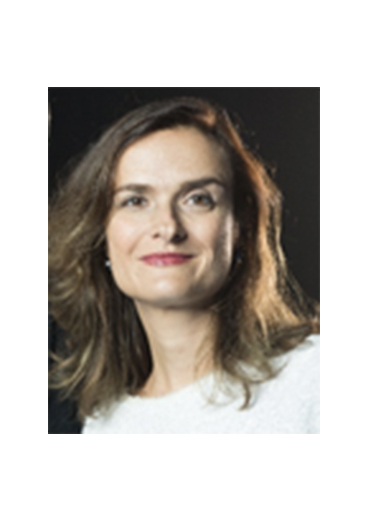 In the past, Marina was Managing Director of the American Chamber of Commerce in France (2010-2014), served as Executive Director for the Diversity and Leadership Center of Excellence at INSEAD (2007-2010) and held senior posts in the private sector working for the Pechiney Group, in corporate venturing and in corporate strategy functions (2000-2004).. She began her career with the World Bank Group, managing the institutional relationship with country borrowers for several Latin American countries. In 1998, she received the World Bank Award for Excellence by President Wolfensohn for assisting borrowers with sovereign debt conversion in Colombia. Ms Niforos holds an MBA from INSEAD, a Masters in Government Administration from the University of Pennsylvania and a Diploma in International Relations and European Studies from SAIS-The Paul H. Nitze School of Advanced International Studies at Johns Hopkins University. She graduated Phi Beta Kappa from Cornell University, with a B.A. with highest honors in Government and International Relations. Marina is fluent in English, Spanish, French, Greek and is proficient in Italian.